After leaving the Chimanimani mountains, I caught local transport to Masvingo. 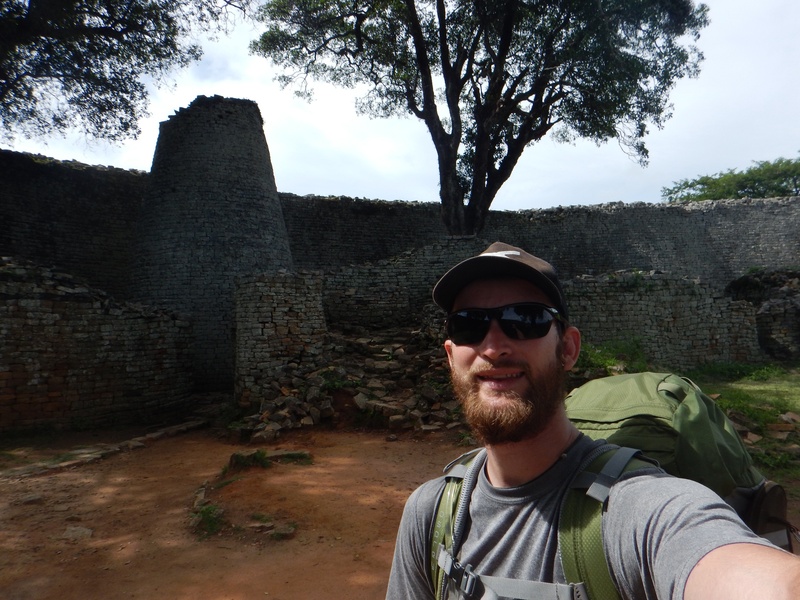 Arriving Christmas Eve at Great Zimbabwe, I was planning on just setting up my tent and eating some food I had. While passing through the hotel, I noticed a sign for a Christmas Eve buffet. This sounded like a good Christmas treat to myself. After enjoying a great buffet of food, I walked to the campsite set up my tent and fell asleep. Waking up Christmas morning, I ate some breakfast and packed up my tent. 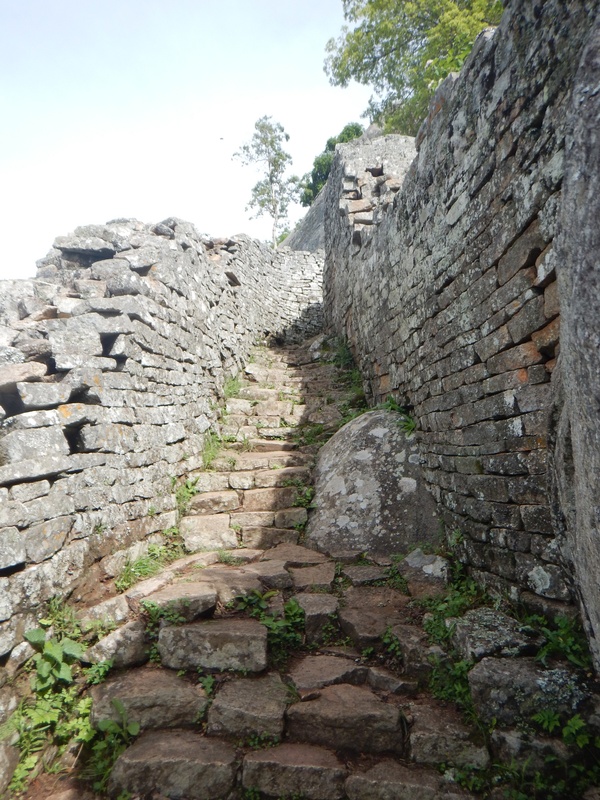 It was time to go tour Great Zimbabwe, a World Heritage Site. 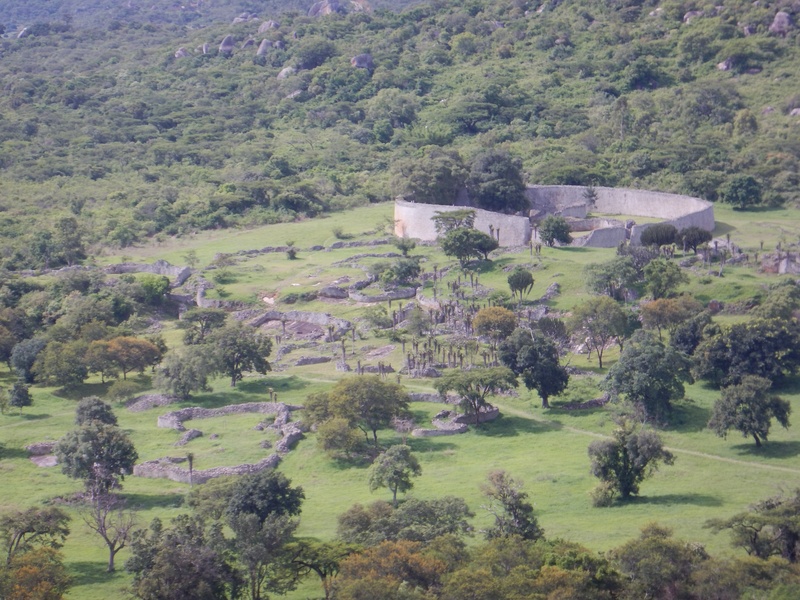 These are the ruins for which Zimbabwe is named after. They are also the largest in the country. Since I arrived earlier in the morning, very few tourists were there. This was a good idea though because it was going to be a hot day. Spending the extra money to have a guide, we were on our way before long. 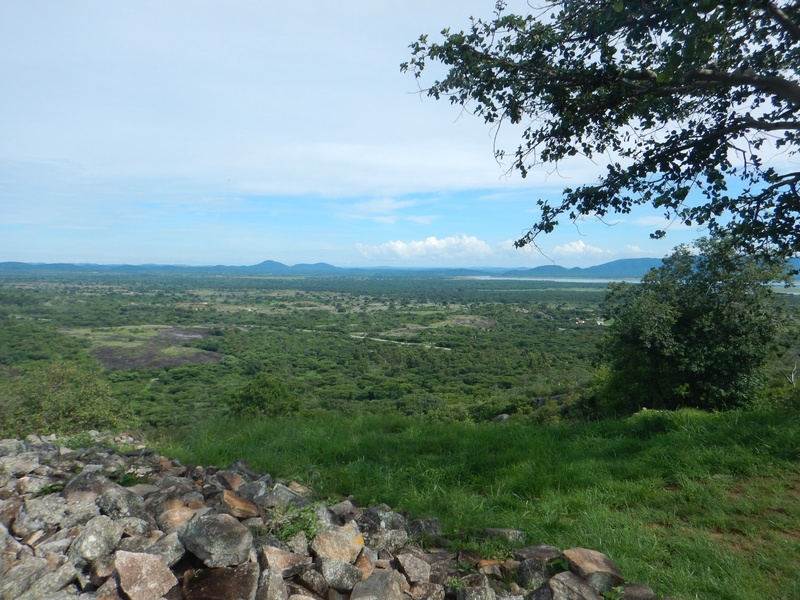 Great Zimbabwe is broken up into three sections the Hills Complex, the Great Enclosure, and the Valley Complex. We hiked up to the Hills Complex first. This sat on top of a hill and overlooked the surrounding area. It is where the king lived as well as other royal officials. Heavily guarded, the Hills Complex had high walls and many narrow passages. The Shona tribe lived here from the 11th-15th centuries. Heading down from the hill, we went to the Great Enclosure. This is where the queen and other wives of the king lived. It was also used as a place for training the young into adulthood. Inside the Great Enclosure is a conical tower that is 30ft high. Looking at this tower, it is stunning and sits between two walls. The Valley Complex, we did not tour. This was the area where the farmers and less wealthy people dwelled. It was a series of houses that were not walled in. 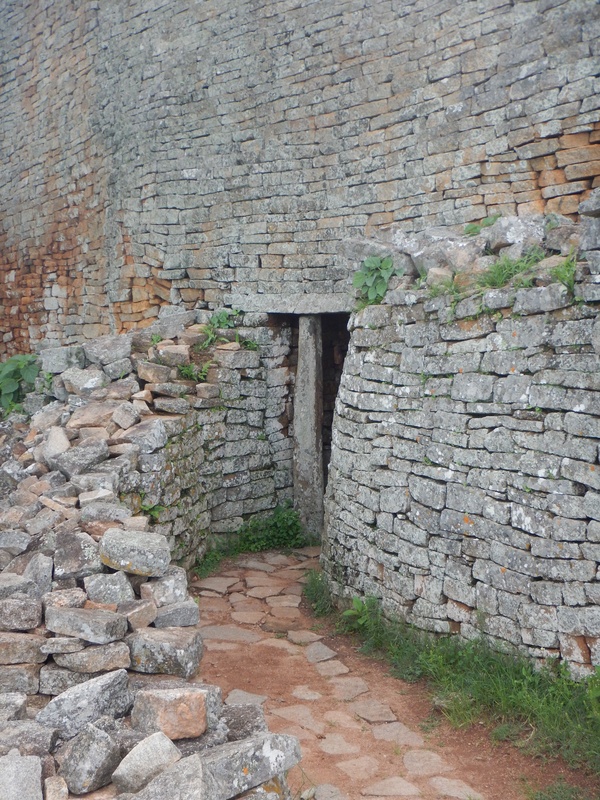 After touring Great Zimbabwe, it left me with many questions about the place. As I went through each of the ruins, the guide was unsure of many things. 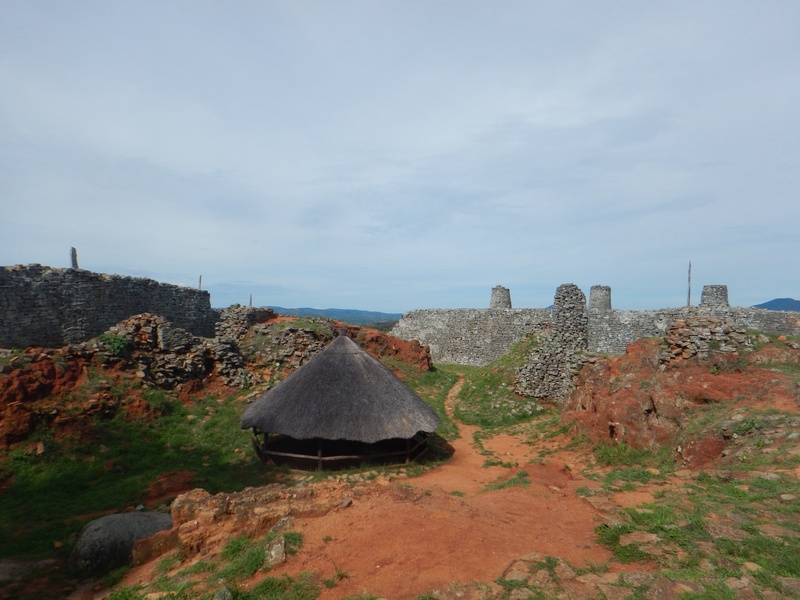 My impression overall was that they don’t know too much about the history of Great Zimbabwe and how the people lived. There is no record on why the Shona left Great Zimbabwe and my guide kept telling me he wished the people could write and leave behind records of their life. Nevertheless, I still enjoyed touring the ruins which had such an impact on Zimbabwe’s history.